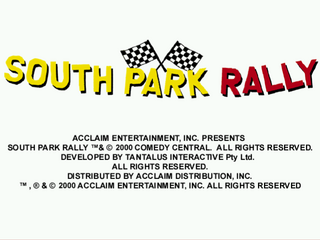 South Park Rally is a racing game developed by Tantalus Interactive and published by Acclaim Entertainment for the Sega Dreamcast. It is based on the television show South Park and features a number of characters seen in the first three seasons. Main article: South Park Rally/Magazine articles.